Am I Pregnant Tarot Spread Reading & Significant Things To Know!! Being pregnant will bring you not only a meaningful time but also an anxious time. For a very long time, Tarot has become a powerful tool for guidance and advice in every aspect of life. In this modern day, more and more people look for the assistance from Tarot spread to find the balance in whatever they do at times. Depending on your issue or situation, there will be a corresponding spread that can help you deal with it. Women often visit online readers for particular Tarot spreads on the pregnancy field. If you are feeling confused and wondering whether or not you will conceive a baby in the near future, I highly suggest you getting help from one pregnancy Tarot reading. By earning the guidance from ‘Am I Pregnant Tarot Spread’, you are able to make precise decisions. Many expectant mothers nowadays want to try a pregnancy Tarot reading. The thing is: since it’s quite controversial when it comes to fertility/pregnancy, not many readers are willing to answer questions regarding this area. They believe it relates more to the health and medical aspects. Let me remind you one important thing: Tarot cards are not able to deliver you the exact date and time for your conception. According to most Tarot readers, they’ve frequently asked about pregnancy and motherhood. There are a few people even did the reading for themselves and then visit the professional for a more accurate interpretation on the cards. Keep reading to know exactly about what to ask, what to expect, and which spread to use on a pregnancy Tarot reading. Whether you have had much experience with psychic readings or you have just tried for the first time, remember that the session always starts with questions. In order to gain the most during your reading, the key is not to ask too much questions giving out Yes or No answers. Will I be a mother soon? Will there be any problem with my pregnancy? Well, I strongly advise you against those inquiries as the reading with oracle cards will never replace a pregnancy test or a medical expert. Before the big day, it’s significant to prepare a list of open-ended pregnancy questions that you really desire to know about. Frame them all with hope and learn to accept the truth rather than fear. The goal of this reading is to help you make the most of your pregnancy as well as prepare yourself well for your future birth. But of course, you should go to see your doctor and take pregnancy tests for accurate results. What can a Tarot reading assist pregnant mothers? Through the cards-interpreting session, the reader enables to help her client create a connection to her baby and her partner. If they see no pregnancy happens to you right now, then they will figure out which factor is blocking your energy. Everything will be clearer with the help of a reading! 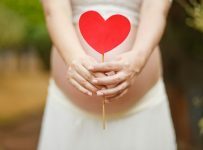 A fertility Tarot card reading undoubtedly can shed light on your pregnancy and even empower you to make the most excellent choices for yourself. Let me remind you once again: Tarot should not be used as an alternative to medical advice. For women who are already pregnant, a specific Tarot spread can help you to connect to your child and strengthen the bond of you two spiritually and emotionally; in addition, it may tell you how to improve the connection of you with your partner during the most wonderful time. As crucial as preparing good questions, having a spread that focusing mainly on the pregnancy field can help you a lot. By interpreting the layout, your Tarot reader will reveal hidden messages from your reading. It is okay if you want to create one spread of your own. A typical spread usually consists of three cards and should not have more than 10 cards. Before drawing out your very own pregnancy spread, you need to think about what matter you’d like to know the most and then simply cut it into more small separate parts (less than 10). You may want to have insight on possible challenges, how to prepare for the upcoming journey, how to have better connection with the partner, or even the baby gender and personality. Just use spreads that others have done if you don’t dare to make your own spread. A good, brilliant pregnancy Tarot spread is supposed to deliver positive messages and cover the pregnancy issues on different perspectives. If you don’t want to set foot to the medical arena too soon (first trimester), then all the wisdom words from Angels in cards will give you bless. This reading provides you the guidance which you can follow a long time or a short time, and can be repeatedly taken advantage of whenever needed, especially if there are things that have to be developed or changed. The reading with Tarot cards can bring a glimpse into what very unconscious so that you enable to figure out your current situation when it comes to pregnancy and childbirth. The most obvious problem here is: most expectant mothers have a huge expectation that Tarot can help them predict or control the future; this leads to the existence of enormous anxiety during the session. Tarot cards should be read as guidance only instead of the final and only truth. The pregnancy Tarot reading can be done for ladies who are pregnant or in the suspicion of whether or not they will conceive. It’s not a difficult if you want to engage in a live Tarot chat reading online these days because there’s a bunch of trustworthy, legit networks. Most of readers are rigorously scrutinized and tested. If you are in need of searching authentic Tarot card meanings and reversals, I highly recommend you to access top psychic networks worldwide. I can confirm that those companies recruit only real readers who offer on-point predictions and detailed answers about your future. Make a bit research as there are several sites coming with special introductory offers, such as one free 3 minutes chat or a discount up to 50%. Please note that people who are pretty sensitive or prone to anxiety should not suitable for a reading as your emotions are not stable.